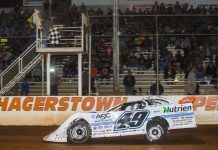 GIBSONTON, Fla. – Jonathan Davenport took the lead from Tyler Erb on lap 38 and led the rest of the way to score his second win of the Wrisco Industries Winternationals presented by Lucas Oil on Friday night. 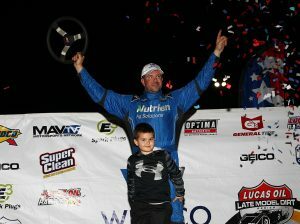 Erb entered the event with two wins during the week and bolted to the lead at the start of the 50-lap main event. 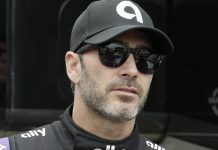 He held the lead until Davenport forged ahead with twelve laps remaining, and the two-time series champion never looked back after that. Erb’s Best Performance Motorsports Rocket crossed the stripe in second, followed by Earl Pearson Jr. in the Lucas Oil Products Black Diamond entry. 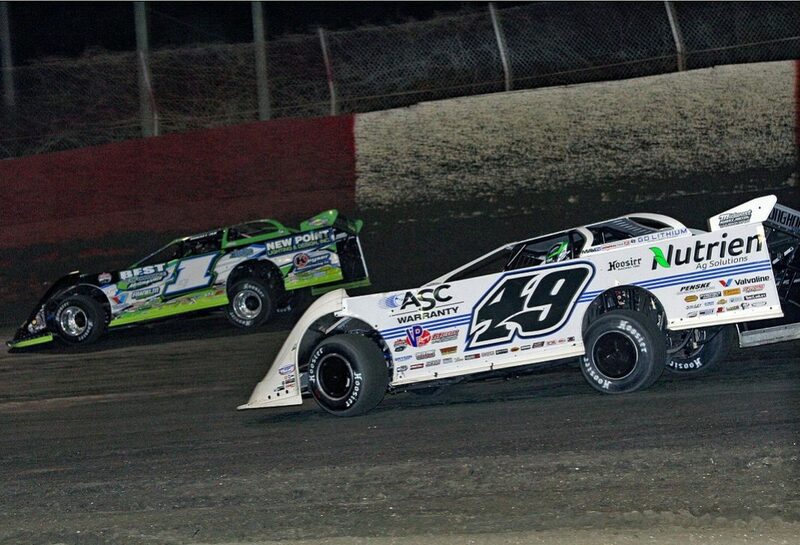 Completing the top five were Scott Bloomquist and Devin Moran. 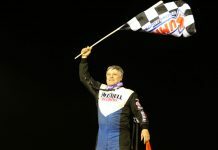 Davenport made his way to victory lane for the 38th time in his Lucas Oil Late Model Dirt Series career Friday night, joined by his son Blane. “I just want to thank all of the fans for coming out tonight. 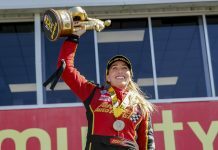 Knowing that tonight was a point race, we really wanted to put on a good show,” noted Davenport. 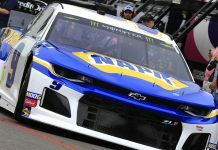 “We have had a really good car here the last three nights. When I turned under Erb to get the lead, he left me some room there where there was some brown on the race track. Congrats to him [Erb] and Earl [Pearson] for both putting on a good run tonight as well. Erb came up just shy of grabbing his third win in a five-day span and fourth of the young season. 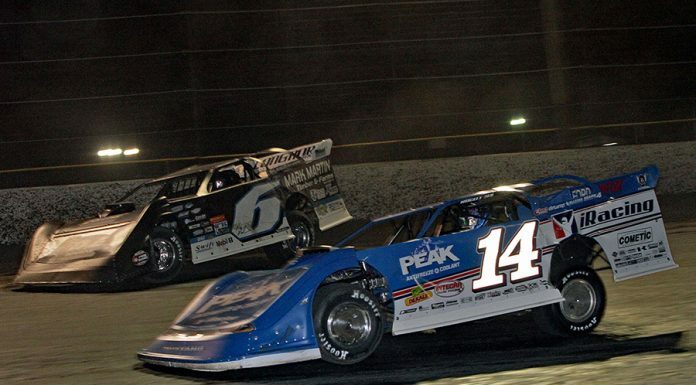 Pearson was runner-up to Hudson O’Neal on Thursday night and took third behind Davenport and Erb Friday night. Jonathan Davenport, Tyler Erb, Earl Pearson Jr., Scott Bloomquist, Devin Moran, Tim McCreadie, Billy Moyer, Jr., Jason Jameson, Mike Benedum, Jeff Mathews, Hudson O’Neal, Josh Richards, Justin Williams, Devin Dixon, Austin Hubbard, Jimmy Owens, Ryan King, Austin Rettig, Stormy Scott, Tanner English, Kyle Bronson, Don O’Neal, Gregg Satterlee, Tim Dohm, Terry Casey, Colton Flinner.